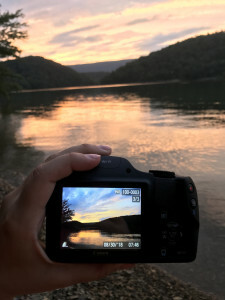 This year, Stephanie Letourneau is living at the Raystown Field Station and running her own blog about the adventures there! 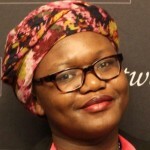 To not miss any of her updates, follow her blog Pursuing Passions. Waving hello from the lake! On August 22nd, I successfully moved into the Raystown Field Station. We had a presentation after moving in on field safety and then went down to the fire pit by the lake for s’mores and residential life information. The schedule at the field station includes having one class all day each day. Our first day was an introduction to the station, tours, and logistics. Our first class was Limnology on Friday. 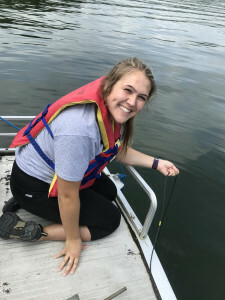 We have only had a few classes, but so far, we have designed a leaf decomposition study as a class to evaluate nearby ponds and Raystown Lake. Our labs the past two weeks have comprised of going out on the lake on the boat and measuring the lake’s physical and chemical properties. For GIS, we have been exploring the program and practicing creating maps or finding information. 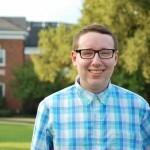 I am very excited to learn how to use GIS more and how it can help with my research. Sense of Place seminar began with a boat tour of Raystown Lake, which included the basic science and history facts of the area. Who knew you could have a lecture on a boat? We also discussed our research projects for the semester. I am not sure what I am exactly studying yet, but I will be researching an acid mine drainage site. The first two weeks, we did not have anything on Wednesdays because we do not have our research projects established yet. My professor said, “Either make it a very productive day or a really good day.” I did a combination of both; I did some homework in the morning and spent the afternoon kayaking on the lake with some classmates. Nature photography is a lot of terminology and learning the basic concepts of how to take a good picture. It is particularly difficult to take pictures of wildlife because of their movements so we have learned a lot of specialized techniques so far. Our first project was a picture of a wildflower. I am looking forward to improving my skills. Aquatic Ecology has been an introduction to ecology and learning the applications of these concepts in aquatic ecosystems. This course is unique because it is taught by Dr. Lane Loya from Saint Francis University. One afternoon, we had a mini Lake Symposium to listen to researchers discuss the previous studies on Raystown Lake and the potential issues for the future. The presenters included a park ranger from the US Army Corps of Engineers, and from Juniata, Dr. Sharon Yohn and Dr. Chuck Yohn. It is interesting to learn about an ecosystem in which you live and about the different issues that have to be monitored. I also enjoyed kayaking and going on a firework cruise on the lake with my mom on Labor Day weekend. From September 10th to 14th, our class at the field station travelled to the Finger Lakes region of New York to study lakes and streams. We stayed at the Cornell Biological Field Station and the USGS Lake Ontario Biological Station. On the way home, we stopped at Cornell Lab of Ornithology. Our Limnology and Aquatic Ecology professors joined us too, which provided an immersive experience to apply everything we have learned and will learn this semester. 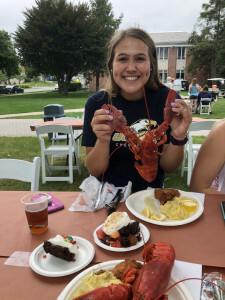 I wanted to end this post with some fun from Juniata’s traditions, Lobsterfest (Yes, sometimes I actually go back to campus.) 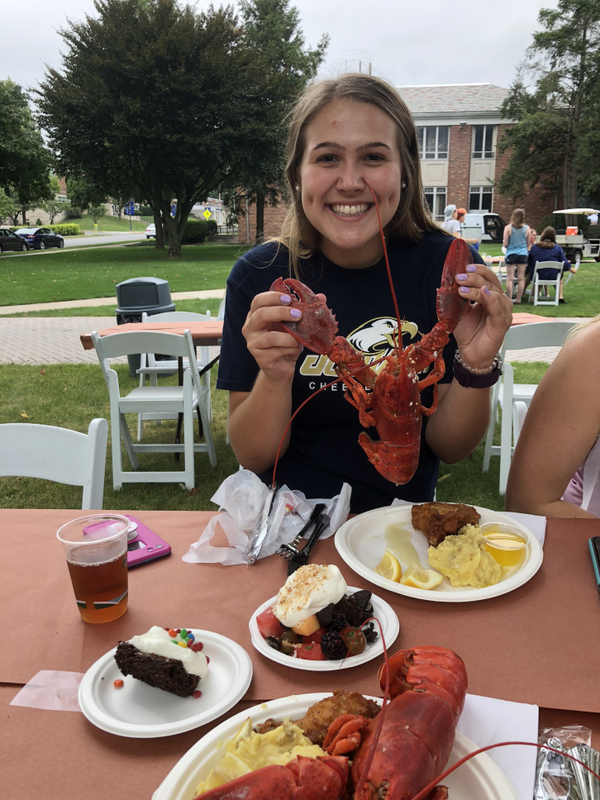 It is an opportunity for students to sign up for clubs and enjoy delicious lobster on the quad. Another tradition at Juniata is Mountain Day. 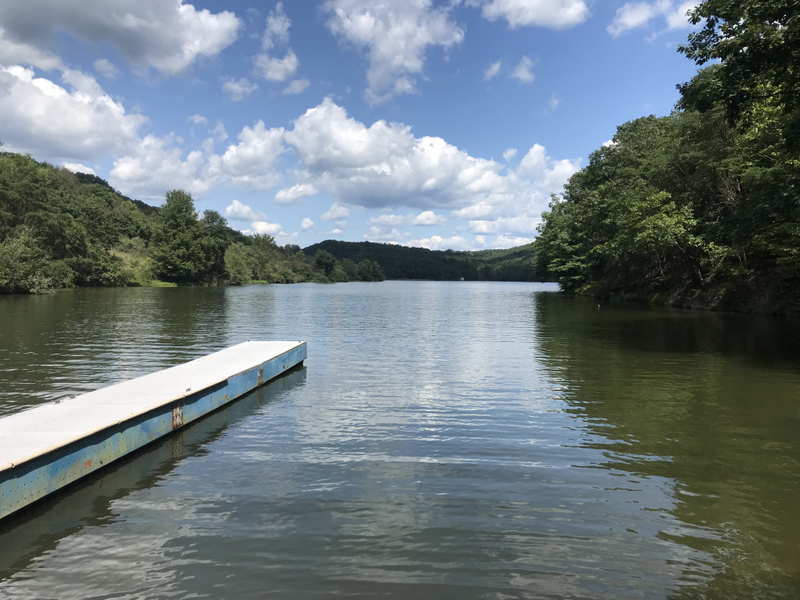 One day in the fall, classes are canceled, and the school provides buses to take everyone to Seven Points Recreation Area on Raystown Lake for a day of outdoor fun including a picnic lunch, kayaking, slip and slide, inflatables, tug-of-war, and more. However, no one knows in advance when it is going be. 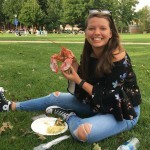 As the Juniata website states, “trying to guess the date of Mountain Day is one of the most popular topics of conversation among the students and faculty in the weeks leading up to the event”. It really is. Students and professors will place bets when they think it will be and students will stay up all night if they think it might be the next day. Luckily, Mountain Day didn’t happen while we were in NY, so we were able to sail the research boat across the lake to join in on the festivities! Here’s to more adventures and beautiful sunsets on the lake.